The Ministry of Human Resource Development has constituted a High Powered Committee to examine the entire system of conducting Class X and Class XII examination conducted by the CBSE with a view to prevent leakages. 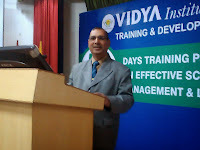 Shri Vinay Sheel Oberoi, Retd. Secretary (Higher Education), MHRD will be the Chairperson of the 7 member High Power Committee. (a) To revisit all aspects related to the security checks built into the system for ensuring that the Question papers reach the examinees without tampering. (b) To examine and assess all areas of potential weakness in the present system of transporting question papers from the printing presses to the examinees. (c) To suggest ways in which the system can be made more secure with the use of technology and minimization of human intervention. The High-Powered Committee will submit its report by on or before 31.05.2018.